The world's most developed teaching English through drama program. 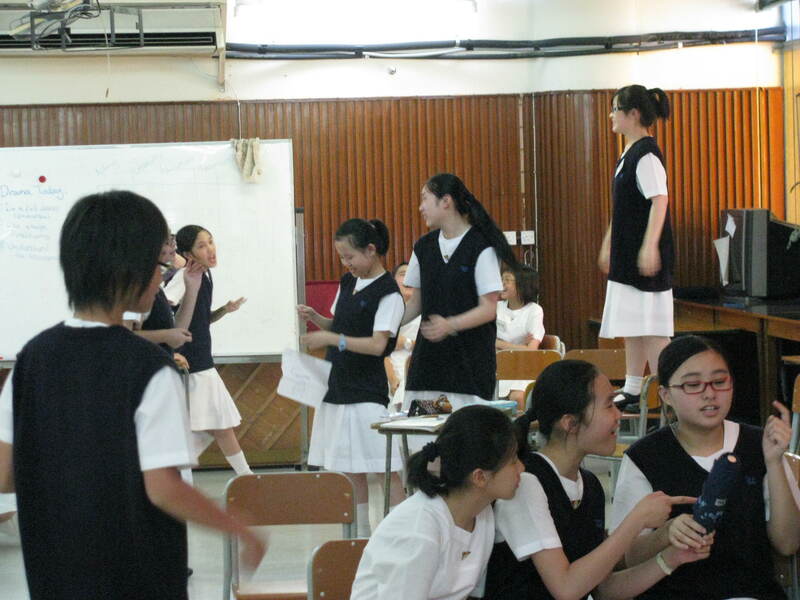 In 2008, I had the distinct pleasure of visiting the Dramatic English program based in Hong Kong. 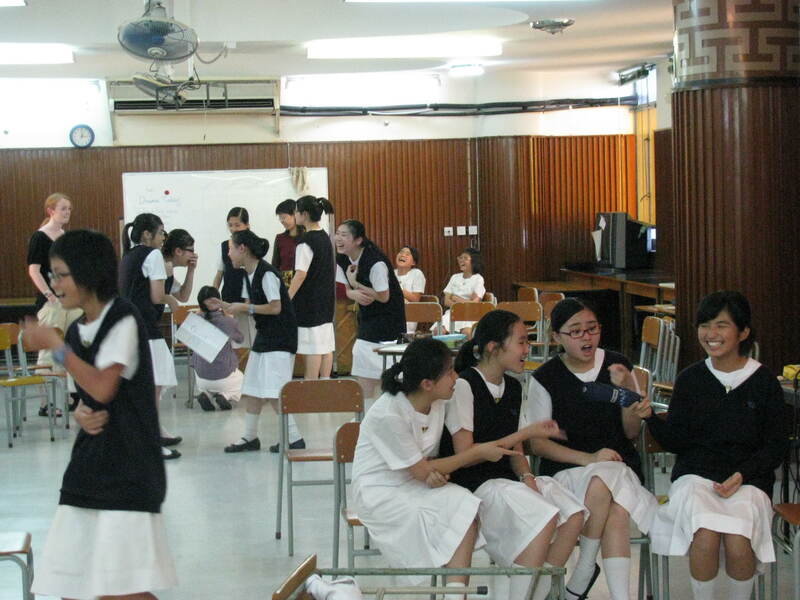 It is the world's largest and most sophisticated enterprise related to teaching English through drama. It is run by Mr. Man Cheung, M.A., a man of mixed Irish and Chinese heritage who grew up in Australia. The overview below is taken directly from DE's website and you may click on the titles to access all that's on the site. I asked Man how he happened to establish his enterprise here in Hong Kong. He told me that he had returned to Hong Kong from Australia several years ago and was interested in teaching English, but found that the approaches used in the Hong Kong system did not allow for much student spontaneity and cheerfulness in the classroom. Students were not highly motivated to do much with English and more failed than passed. He thought that the use of drama would motivate young people to interact more within the classroom and do so in a way that was natural and fun. His focus was on bringing drama techniques into the classroom to develop student confidence and a sense of play while they were at the same time accumulating skills in both drama and English. He took his message to Hong Kong teachers by offering free teacher seminars and slowly they became interested in working with Man to introduce the dramatic approach in the Hong Kong schools. So, Man piloted his approach working with at first six teachers. The number quickly grew to eighteen and then to thirty-six. More than fifty schools are now being served by the Dramatic English program.